SNP councillor for New Byth Ross Cassie and local MSP Stewart Stevenson have welcomed the grant award from Awards for All Scotland towards equipment for the village’s playing field. New Byth Community & Playing Field Association have secured £7,700 and will use the funding to install a new aerial runway for the older children of the village to enjoy. “I welcome the award of £7,700 from Awards for All Scotland to New Byth Community & Playing Fields Association for an aerial runway for the children in the village to enjoy. “Awards for All Scotland gives groups across our country the option to apply for grants of between £500 and £10,000 for their particular projects. “Local voluntary groups are the backbone of our communities so it’s good to see New Byth Community & Playing Fields Association being rewarded for their efforts by a national funding body. Banffshire & Buchan Coast MSP Stewart Stevenson has welcomed the decision by the Conservative/Independent administration on Moray Council to back down after pressure and not to proceed with an eye-watering 18% increase in council tax levels. “We have seen a pattern across the North-east recently of Tory politicians lining up to argue for increases in the rate of council tax. The former leader of the Tory coalition in Aberdeenshire Council has made no secret of his desire to hike up the council tax and his counterparts in Moray have now – thankfully – come to realise that the massive 18% increase they wanted to impose would have hit people very hard indeed. “They completely miss the point that the reason the council tax is frozen in the first place is to help individuals and families through these times of Westminster-imposed austerity. “What we saw from the Tory/Independent Administration was a poor excuse for a budget that was based almost entirely on the cuts offered up by council officers and barely an original thought from the Administration despite having had months to work on it. “In contrast the SNP put forward an alternative budget that looked beyond the same old, same old cuts that are unsustainable. “We are delighted that Moray’s taxpayers have been saved from a ludicrous 18% rise in Council Tax, which we have demonstrated clear alternatives to. “I sincerely hope that the Council will take notice of those alternatives that we believe are proportionate and fair. If they don’t start using some of the blue sky thinking, which bizarrely they have criticised the SNP for, then they will lead Moray Council to bankruptcy. “Unfortunately, the choice of vehicles on commercially-operated routes is entirely a matter for the operator, and is not something which the Scottish Government or the local authority can change. “Although I was unable to be at the meeting personally, a member of my staff was in attendance, and I was very pleased to hear that so many of my constituents took the opportunity of voicing their concerns to the senior management representatives present. Stewart Stevenson, MSP for Banffshire & Buchan Coast has this week highlighted the importance of education. Banffshire & Buchan Coast SNP MSP Stewart Stevenson has welcomed the decision by the Scottish Parliament’s Rural Affairs Committee to reject a Tory wrecking motion which sought to continue unfair tax exemptions for country estates. 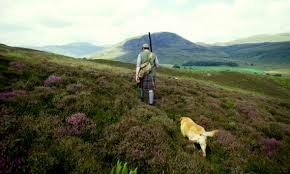 Tory MSP Alex Fergusson attempted to remove a key part of the Land Reform Bill which will reinstate business rates for land used for shooting and deerstalking – estates which have benefited from an unfair exemption from tax following a move brought in by the Tories in 1994. This attempt was rejected by Committee members. “The Tory attempt to shield landowners from paying fair taxes is pure hypocrisy after David Cameron recently promised to crack down on tax evasion. “There is no reason why shooting and deerstalking should be exempt from paying business rates when other businesses across Scotland are expected to pay their share – I’m glad that the Tory attempt to continue this unfair situation was rightly thrown out. “During its scrutiny, the Rural Affairs Committee sought clarity from the Scottish Government, who confirmed that only larger businesses will pay rates while small businesses will receive rebates – making the Tory amendment totally unfounded. Banffshire & Buchan Coast MSP Stewart Stevenson has welcomed the announcement by the First Minister Nicola Sturgeon of a new £12 million fund aimed at people who face losing their jobs in the oil and gas sector to transition into other energy industry and manufacturing employment through. The Scottish Government’s Transition Training Fund will help maintain the highly skilled energy workforce in the North Sea region by offering grants to individuals to support their redeployment through retraining or further education. It will also help people with the costs of maintaining any licences they need to work in the sector. The Transition fund will allow bodies like Skills Development Scotland, in conjunction with the Energy Skills Partnership and Energy Technology Partnership, to provide practical training and education that will help people meet the demand for other specialist jobs in the wider sector. The new fund will augment the work of the Scottish Government’s Energy Jobs Taskforce, which is already providing support through the PACE process and other measures such as the Adopt an Apprentice initiative. The First Minister made the announcement on a visit to the North-east, where she met senior executives of BP and other sector figures before attending the latest meeting of the task force. “It is absolutely crucial that we take every possible action to retain the expertise that the industry has built up over decades so that it remains flexible enough to capitalise on exploration investment and future oil price rises. “That is why I have announced a new £12 million Transition Training Fund to provide financial support to individuals as they retrain or undertake new education to allow them to take on specialist roles elsewhere in the energy industry and related roles in the manufacturing sector. “I welcome this funding and the opportunities it creates for those affected. The redundancies in this industry are extremely concerning, and I am optimistic that this will help alleviate some of those losses. The Scottish budget will protect household incomes and deliver a pay rise for up to 51,400 low paid workers, local MSP Stewart Stevenson said today – rather than facing tax rises with Labour. The draft budget will introduce a Living Wage of £8.25 for social care workers – giving thousands of low-paid workers, mainly women, a pay rise. Household budgets will be protected by the continuation of the Council Tax freeze and by setting the Scottish Rate of Income Tax at 10p – meaning that income tax bills will not rise. In contrast, Labour this week announced plans to hit 2.2 million basic rate taxpayers across Scotland – including almost half a million pensioners – with a tax hike. 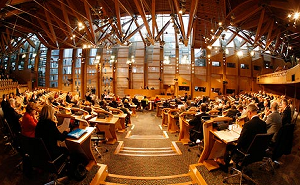 The draft Budget was debated by the Scottish Parliament yesterday afternoon – with key pledges including a £500m rise in the NHS budget, the protection of the teacher-pupil ratio and the protection of the police budget. “In the context of continued Westminster cuts to Scotland’s budget, the SNP are proposing a very strong package that protects household incomes, increases wages for low-paid workers and continues investment in our public services. “For the first time John Swinney has been able to set a Scottish Rate of Income Tax – and has rightly set it at 10p, meaning taxes on working people will not rise. “In contrast Labour want to shift the burden of Tory austerity onto working people across the country – forcing people such as all newly-qualified nurses, teachers and police officers to effectively take a pay cut. Stewart Stevenson, MSP for Banffshire & Buchan Coast, has this week highlighted the importance of improved transport links in Scotland. “It will be no surprise to members that I would always wish to engage in efforts to increase the availability and use of public transport. Stewart Stevenson, SNP MSP for Banffshire & Buchan Coast, has welcomed a lottery grant made to a Banffshire sports club. Buckie Victoria Bowling Club has received a £9,260 Awards for All grant from Big Lottery Fund. The club will use the funding for new windows and a new door for their clubhouse. Awards For All Scotland gives groups a chance to apply for a grant of between £500 and £10,000 for projects that aim to help improve local communities and the lives of people most in need.